The predecessor to Lash’s Bitters Co. was T M Lash & Co. of Sacramento California. A partnership between Tito M Lash and John Spieker, the business was started in 1884 and marketed a number of proprietary medicines that included alcohol based tonics and liniments. 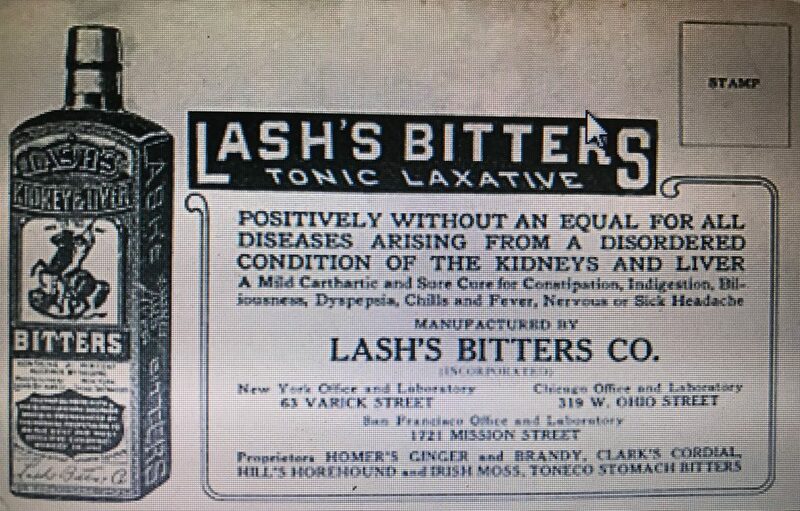 One of their most popular products was Lash’s Kidney & Liver Bitters. An article in the October 10, 1889 edition of the (Sacramento Ca.) “Record Union” described the relationship between the two men. Lash claims to be the discoverer of certain medical decoctions, in the manufacture and sale of which Spieker became interested as a partner. Lash was to do the traveling and selling of the medicines, while the general conduct of the business was to be looked after by his city partner. The article went on to say that Lash had filed suit against Spieker as a result of accounting discrepancies identified within the business. This led to the dissolution of the partnership with Spieker buying all rights to the firm name as well as the manufacturing rights to the medicines. Lash’s Bitters Co. (Incorporated), manufacturers of Lash’s Bitters and Vigor of Life, 1117 Mission. 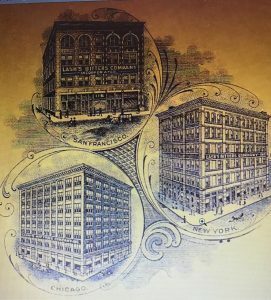 The company remained listed in San Francisco up through 1935. During this period they listed their addresses as: 1117 Mission ( 1896 to 1900), 116 2nd (1901 to 1906), 1721 Mission (1907 to 1919), 43 to 47 Beale (1920 to 1932) and 1715-1721 Mission (1933 to 1935). They were no longer listed in 1937 (I don’t have access to 1936). They opened their Chicago location in 1901 and New York in 1904. 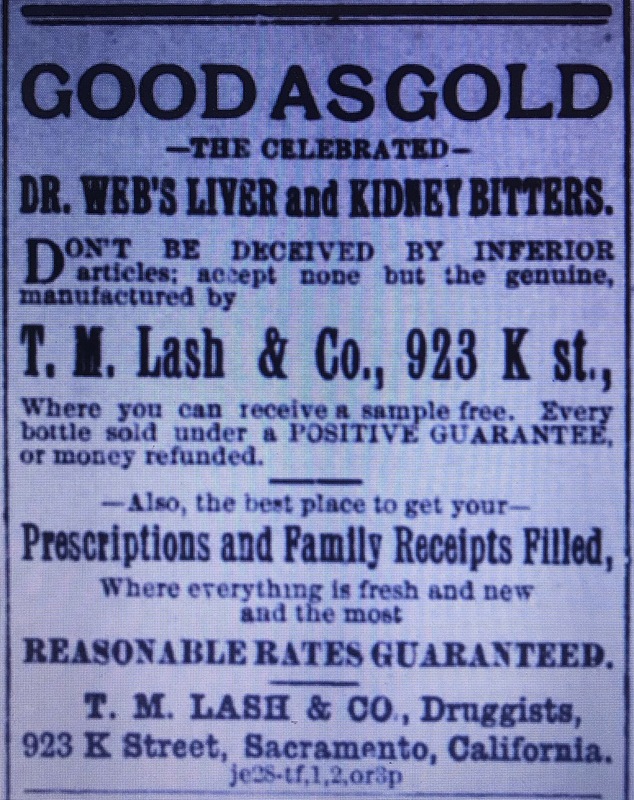 Lash’s Kidney and Liver Bitters Co., George M. Pond, mgr. 149 and 151 E. Huron. I don’t have access to many Chicago directories of that era but advertisements indicated that they later moved to 319-331 W. Ohio Street. The business was still listed in Chicago and as late as 1930. The first New York listing for the company that I can find is in the 1905 City Directory. Over the next 20 years they were listed at three different addresses: 63 Varick Street (1905 to 1911), 721 Washington Street (1911 to 1915/16 and 243 W 17th Street (1916/17 to 1925). During this entire period from 1905 to 1925, Charles H Hill was named as their N.Y. manager. I don’t have access to any directories between 1926 and 1930 but I’ve read that the New York operation ended around 1930. The business operated a plant in Clifton NJ from 1927 to 1966 so it’s possible that the New York operation moved to New Jersey sometime in the mid to late 1920’s. I’ve been able to track down very little information on their New Jersey operation but I did find this 1947 classified advertisement for a salesman that confirmed the Lash’s Products Company had a Clifton New Jersey location and indicated that they were still making Lash’s Bitters as well as cordials and flavoring syrups at the time. 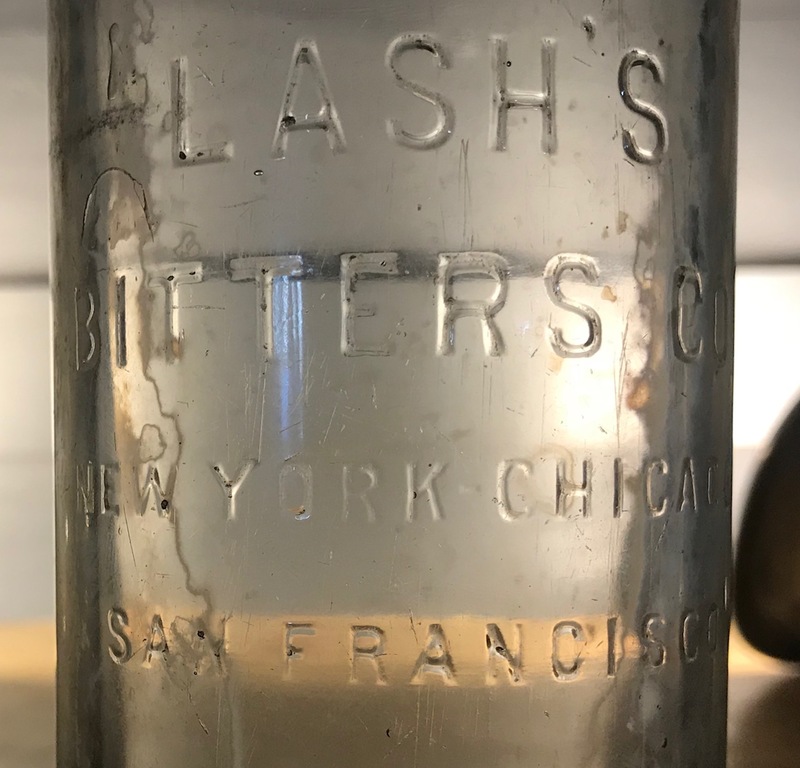 By the time that the Lash’s Bitters Company had expanded to the three locations of San Francisco, Chicago and New York, they were associated with several patent medicines. Advertisements between 1904 and 1906 listed the Lash’s Bitters Company as the distributing agents for “Peruvian Bitters,” “Clark’s California Cherry Cordial” and Homer’s California Ginger Brandy,” among others. 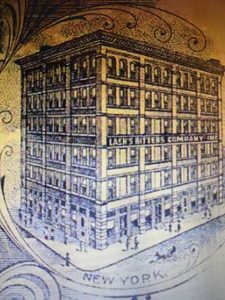 At some point they also began to manufacture non-alcoholic beverages, their most notable being Lash’s Root Beer. 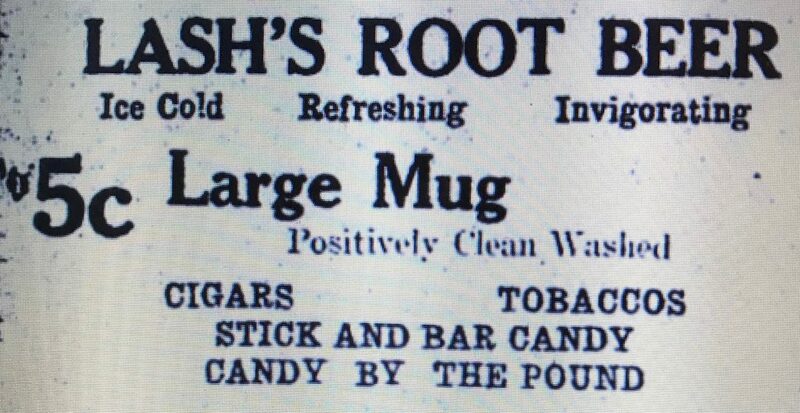 Although I can’t prove it, the start of Lash’s Root Beer probably coincided with their 1920 name change to the Lash’s Product Company and the start of National Prohibition. This advertisement from upstate New York is from 1923. Positively without an equal for all diseases arising from a disordered condition of the kidneys and liver. A mild cathartic and sure cure for constipation, indigestion, biliousness, dyspepsia, chills and fever, nervous or sick headache. One advertisement offered it up as a hangover cure as well! Though it contained 18 percent alcohol by volume, it was apparently still legally available during prohibition with a prescription. Roberts’ Bitters originated with Spieker, who prior to partnering with Lash in 1884, operated as an independent druggist in Sacramento. Advertisements in 1882 and 1883 located his operation at the northwest corner of Sixth and K Streets. That same year, Spieker, now partnered with Lash, began producing the same formula under the “Lash’s Bitters” name. Gregory discovered this in 1892 and obtained a temporary injunction prohibiting Spieker from manufacturing Lash’s Bitters. A story summarizing the resultant court case published in the December 9, 1893 edition of the “San Francisco Call,” succinctly summarized the facts. Sacramento, Dec. 8 – The heaviest judgement here in many years was given today in favor of Victor J Gregory of this city against J. J. Spieker of San Francisco. Some years ago the latter sold to Gregory for a considerable sum a formula for making Roberts’ Bitters. He then himself manufactured and sold Lash’s Bitters all over the coast, but got in trouble…when the fact came out…that the same formula was used that he sold to Gregory. The latter then began a suit, and last June obtained an injunction. A referee was appointed to investigate Spieker’s affairs, and today reported that he owed Gregory $ 51,872. This verdict was later overturned by the California State Supreme Court. The Court ordered a new trial but I can’t find any record of one. It’s not clear when the injunction was lifted but Speiker was certainly producing Lash’s Bitters again at the turn of the century. In his complaint Spieker alleges that in 1884 he and Lash were partners in the bitters business, under the firm name of Lash & Co. They dissolved partnership in 1889, Spieker buying all right to the firm name and to manufacture the bitters previously mentioned. 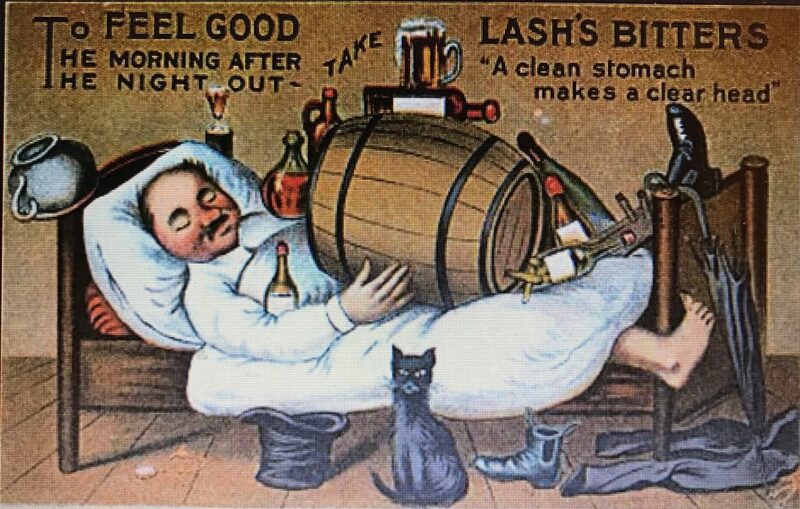 In 1890 Lash and his wife went into business under the name of Lash & Co. and began at once to manufacture an imitation of the bitters. He further alleges that Lash’s imitation is inferior to the genuine, yet he persuades Spieker’s patrons to purchase the imitation rather than the real article. He says that the defendants are conspiring to ruin his business, and he prays for relief from the court. Judgement and findings have been filed in the Superior Court in the case of J. J. Spieker vs. T. M. Lash and Jennie Lash. In the decision Judge Van Fleet renders plaintiff a perpetual injunction, retraining the defendant from manufacturing, imitating or in any way interfering with the manufacture of Lash’s Bitters. The bottle I found is machine made and embossed “Lash’s Bitters Co,” (not Lash’s Product Co.) so it’s most likely pre-prohibition. The traditional Owens mark of an “O” inside a box is embossed on the base. The Box O trademark was registered on March 16, 1920 but according to the patent application had been in use since April 4, 1919. This dates the bottle to 1919 or 1920; early 1920’s at the latest. In response to this post I was contacted by the granddaughter of Martin O’Shea, a vice president of Lash’s, who ran the Lash’s Clifton New Jersey plant until his death in 1966. Her recollections provide a personal touch to the Lash’s story that you can’t get from old records and directories. We grandkids made the last batch of Lash’s Orangeade to fill an order just before grandpa passed away. Your blog was found by my brother who used to play in the plant when dad took us to help grandpa when called. We also got to go with dad when he had to repair or deliver Lash’s Root Beer and Orangeade syrup to the Circle Line boat going to the Statue of Liberty. Previous Previous post: Reader’s Reliable Pharmacy, Cedarhurst, L.I. Next Next post: J. Walker’s V.B.